Having straight teeth means having better oral health; that is, if you brush and floss on a regular basis. Straight teeth also mean having a more attractive smile. When you have a more attractive smile, you feel more comfortable in your own skin. The level of confidence that stems from this subsequently affects your social and professional wellbeing. This is the nature of the smile. It is not a little thing that sits front and center on your face; it is vital to your quality of life. So what do you do if your teeth are not as straight as you'd like? 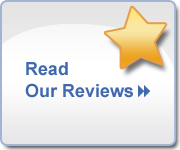 You call your cosmetic dentist in Mentor, OH to talk about the value of Invisalign treatment. We are no longer tied to metal braces if we want a healthier, more attractive smile. Now, we can achieve the desired outcome from care with a whole new approach. · Comfortable. Most people appreciate the choice of trading in metal brackets and wires for smooth aligner trays that mold around the teeth. Nothing to irritate lips or cheeks! · Discreet. Thermoplastic aligners are made in such a way to deliver necessary force without being bulky and obvious in appearance. Most people never notice aligners on someone else. In the event of a photo op or important meeting, just remove aligners for a short time if you prefer. · Less care. Teeth are moved through the continual wear of precision aligners. Every two weeks, a new set replaces the one that came before. 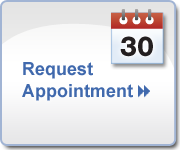 This system requires very little from your dentist, which decreases the number of times you need to see us. The primary purpose of follow-up visit throughout the treatment plan is to check progress. That's it! · Easy peasy. Who doesn't like a little more convenience placed into their life? With Invisalign, you can straighten your teeth without having to develop new habits that revolve around brushing and flossing or eating. Removable aligners allow you to continue your normal routine with ease. We enjoy helping our patients achieve the results they want through personal dental care. To schedule your visit, call (440) 357-1222.